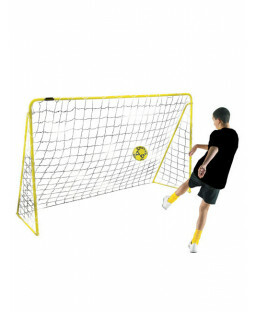 Our exciting range of outdoor toys and games put the ‘great’ in the great outdoors. From swing sets to bouncy castles, we have everything you need for memorable summers your child will never want to end. 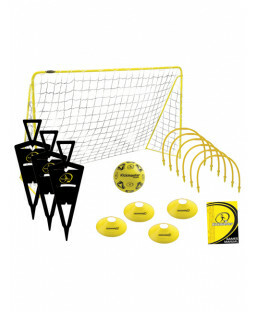 Whether it’s paddling pool parties or kickabouts with their mates, find everything you need at Price Right Home. Check out our fantastic selection of toys and games, and create a love of the outdoors for your child. Our swing sets are suitable for children of all ages, featuring both toddler and child seats. 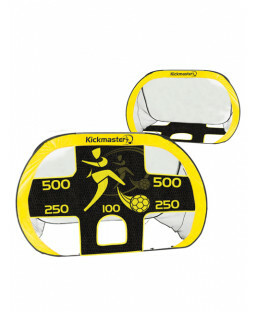 Your child is sure to get a kick out of our football training accessories, including varying sized goals and a Kickmaster challenge set. Schedule space hopper races with our character-themed hoppers – choose their favourite TV character from Mickey and Minnie Mouse, Peppa Pig and more. Fill up one of our character paddling pools as they enjoy a cool summer activity. Our paddling pool designs include Teenage Mutant Ninja Turtles and Despicable Me Minions, for personalised paddling fun. Children love the rush of racing on our roller skates and skateboards. Themed accessories include Star Wars skateboards and Finding Dory roller skates. And for the ultimate summer party, we even have a Thomas the Tank Engine bouncy castle. Price Right Home offer a 110% Price Beat Promise and free UK delivery on all orders, bringing you deals you won’t want to keep inside.